New Logo, New Tour, New Ads! There’s quite a bit new here at Green Hell Guides. First up, those who follow us on Facebook, Twitter or Instagram may have noticed our new logo as seen above. I decided it was time for a change from the image we’d been using on our business cards, shirts, etc. This new logo is meant to be a nod to classic US National Park patches on ranger uniforms, the classic Nürburgring logo and the Faszination Nürburgring logo. Looking at them below hopefully you can see the influence. I also added a new slogan to the bottom- “Master – Respect – Preserve”. This echoes our philosophy about the Nürburgring. We strive to master it, but always respect it- lest it bite you! Finally, we are always concerned with preserving it for future generations of enthusiasts and ensuring its ongoing viability for both enthusiasts and the locals that depend on it for their livelihood. Next up, I wanted to make everyone aware of an upcoming tour in May, 2018 for the 24 hour race. This is our first scheduled 2018 tour. It’s the perfect 24 Hours of Nurburgring vacation2018 24 Hours of Nurburgring vacation2018 24 Hours of Nurburgring vacation! We have a handful of spots available at this point, so contact [email protected] if you’re interested in details and pricing. The current itinerary includes the 24 hour race, taxi laps, driving during public laps, a day trip to the Porsche and Mercedes museums, a road tour and a stop at Spa Francorchamps. As always, it will be an epic automotive adventure! Finally, you may have noticed that our blog posts have some Amazon links to the right (or at the bottom on smartphones). These are handpicked Nürburgring products I think our followers will like and purchasing through these links does give Green Hell Guides a small commission. Please check these products out. You read that right. The Nüburgring played a role in cycling history. That’s not motorcycling or motorcycle racing, it’s bicycle racing. Given that the track is 90 years old, there’s always something new to learn about its place in history. I’m always eager to find out more about its place in motorsport history, the local impact of the track and so forth. Sure, I know about Rad am Ring, the annual bicycle outing on the Nordschleife, but I was not aware that the 1927 UCI world championship was there. Find the details with some nice historic photos on Rouler’s site. All the teams are gearing up for the 2017 VLN season and Dale from Bridge To Gantry and Ring Taxi fame has a post about this weekend’s testing. This should be an awesome season if you have to follow most of the races via the livestream as English will be available for all races this year as I’d previously mentioned. The first race is this coming Saturday, March 25. We’ll have more detail with direct links in a subsequent post, but you should be able to access the stream a bit before the race starts at 7:00 AM EDT from the VLN site. I’m rooting for Dale, Luke and all of #teambtg in their new GT-86 as well as Sabine Schmitz and Klaus Abbelen over at Frikadelli Racing! I hope to get to at least one race of the 2017 VLN season in person. In 2015 we went to the 24 hour race and last year we were at VLN 4. More to come on that. If you want to read more about VLN, ADAC, etc. see our previous post on that topic. Also, we’ve posted previously on watching VLN races over the internet before too. So you’ve heard about Clarkson, Hammond and May’s new venture at this point. No, not The Grand Tour on Amazon, but their new auto enthusiast social network, DriveTribe. If you haven’t already joined the Green Hell Guides tribe, by all means, do so! Bridge to Gantry: Dale Lomas of the popular Bridge to Gantry blog and Ring Taxi fame has his tribe all set up. 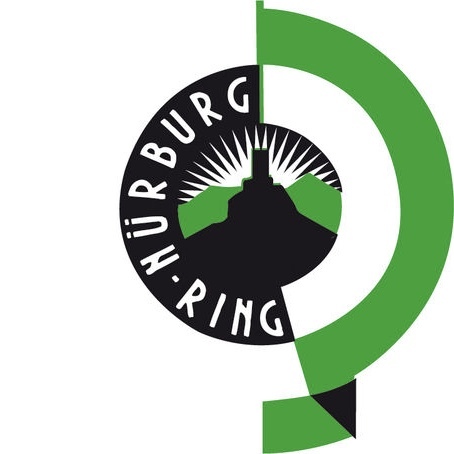 Nür: Chris Enright has established a quality community already of solid Nürburgring content. Nürburgring Now: the fine folks behind this popular website have their tribe up and running as well. Northloopers: this community from the UK is active on DriveTribe. Skylimit Events: the well known organizer of drift and track day events at The Nürburgring, Zolder and Spa is here too. Nürburgring Nordsch-Life: with a focus photos and viewing spots this one deserves a to be in your list of tribes as well. There you go, so have at it! It’s easy to sign up now that no code is required. You’ve heard of DriveTribe, right? It’s Jeremy Clarkson, Richard Hammond & James May’s new social network for automotive enthusiasts. Green Hell Guides is pleased to announce that we now have a tribe on DriveTribe. We’re just getting started, but all of you Nürburgring enthusiasts are invited. It doesn’t matter where you’re from or how few or how many times you’ve been, come join other enthusiasts with a shared passion for everything Nürburgring! DriveTribe goes live Monday, November 28 for the general public, so if you don’t have a pre-launch code, don’t despair. Just head over on Monday and join the party! Either way, join our tribe when you get there. I'd promised a Green Hell Guides 2016 tour report on our Green Hell Guides Facebook page a while ago, so here it is! You may recall that we were soliciting for candidates to join our June/July tours a couple of months ago. We have pictures and video below, so read on! If you’re new to watching the ADAC Zurich 24h Nürburgring race this year, here’s a few teams and cars that you can follow to make it more engaging. Jim Glickenhaus is from New York and is a former film director. He is a noted car collector and his SCG003 cars are beautiful and impressive race cars. Dale Lomas from BridgeToGantry and current Ring Taxi driver is racing here. This is a fan favorite as they love to see the older Opel run with all the new GT3 cars. Like gummi bears? This is your team. Get your English video feed here with commentary by Radio LeMans and the official live timing here. In my last post we discussed how the VLN races are popular endurance racing series run on the combined Nordschlefe and GP track. Watching VLN races is one of the best things to do at The Nürburgring. They're great fun to be a spectator at and can be combined with a tour that includes driving the track yourself, visiting museums and road tours in exotic, sports or classic cars. If you want an idea of what a tour that coincides with a race looks like check out our video from last year's 24 hour race. That's all fine and good, but for those of us who don't live an easy drive from the track, what's to be done? Read on to find out how to watch VLN races away from The Ring! So What The Heck Are ADAC and VLN, Anyway? If you're US-based like Green Hell Guides, or just not familiar with all the various motorsports bodies in Germany, you may have seen these acronyms in association with races that are run on The Nordschleife and wondered what exactly they were. You may have asked, "so what the heck are ADAC and VLN, anyway?" If so, this is the blog post for you!